The Soda Kids are here to save the day with their shining teeth! This insanely bright and colorful bag includes hard refreshing soda candy balls in 6 different flavors: lemon, orange, ramune, cola, peach, and grape. 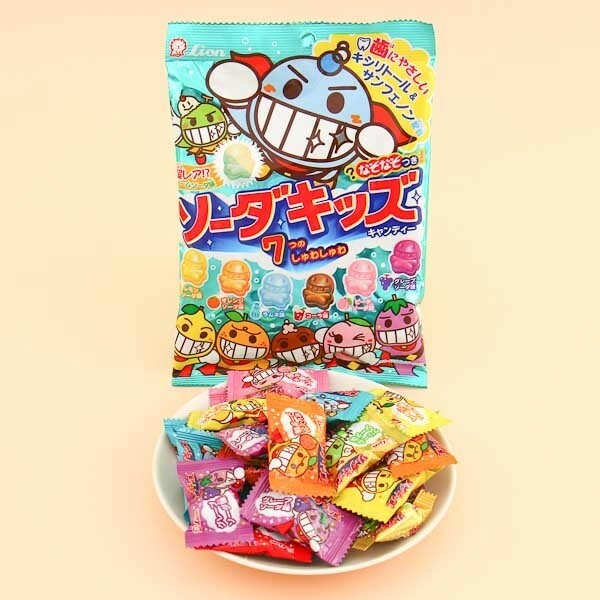 The package also comes with one very rare and special cream soda candy! 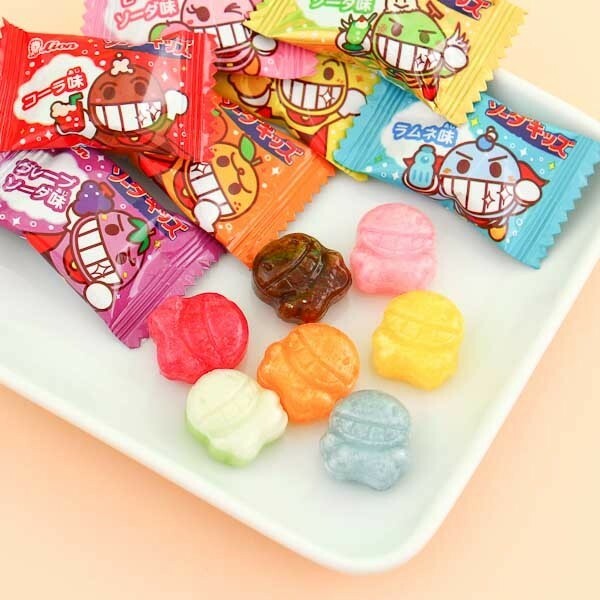 The candies also include Xylitol to keep the kids' teeth strong and healthy!